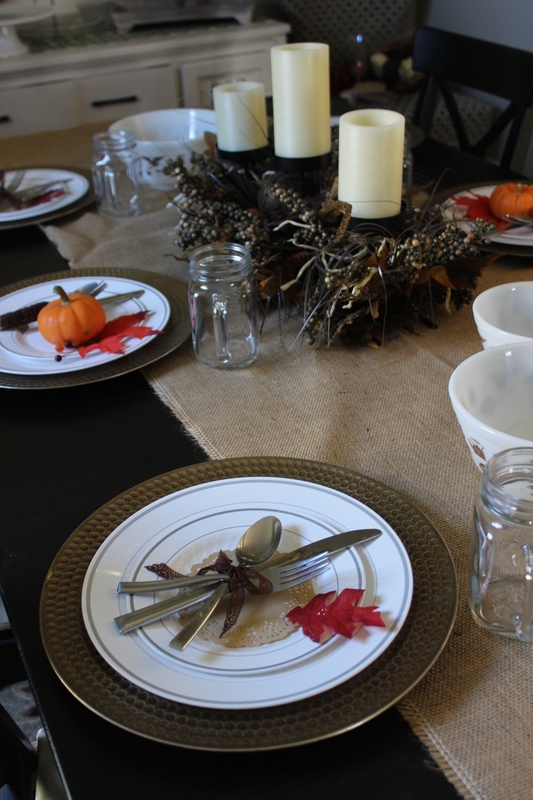 Fuss-free family Thanksgiving — easy, simple Thanksgiving table decor for little to no cost. Now that your menu is planned, your shopping is done and you are just awaiting the the moment you begin cooking, it’s time to think about your table. 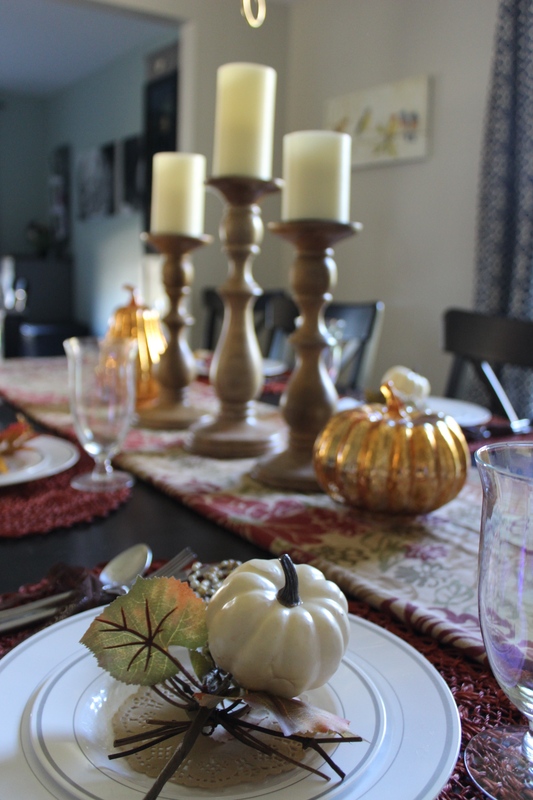 You need not spend a lot of time or money to set a beautiful, inviting table.The beautiful images in this post are the work of my two, talented daughters, the oldest of which wrote the post. 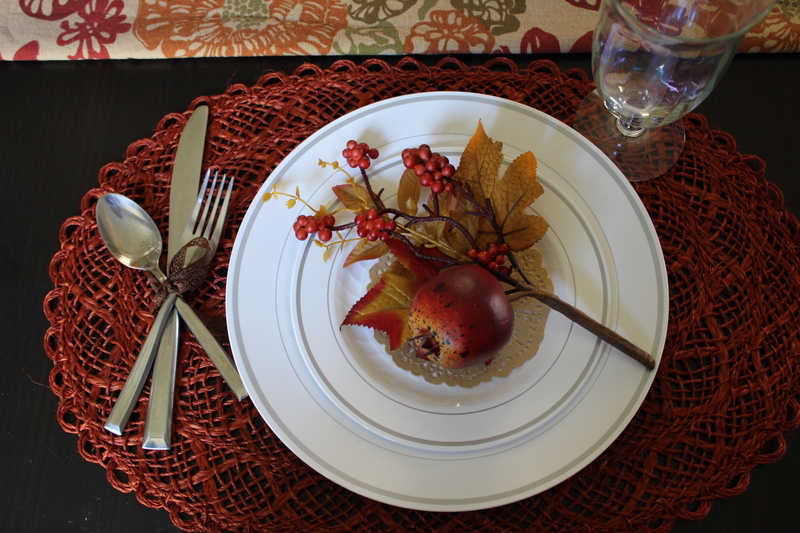 I hope you will enjoy their simple, yet lovely Thanksgiving table decor ideas, and gain some inspiration of your own. 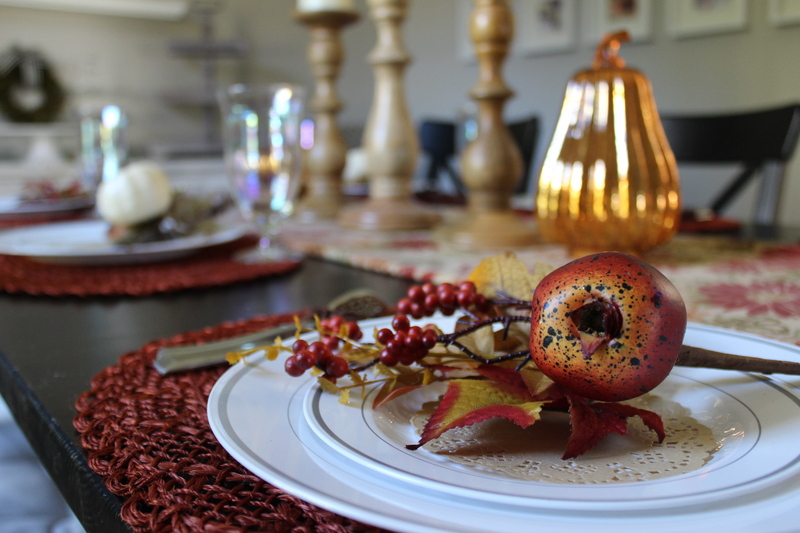 Please share pictures of your Thanksgiving table in the comment section, and Happy Thanksgiving from our family table to yours! 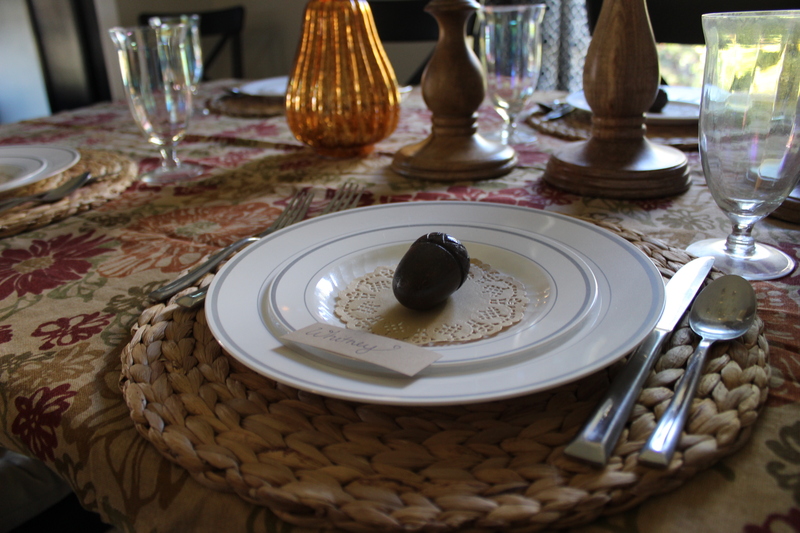 This is my actual Thanksgiving table from last year. I used pinecones from my yard to hold the place cards (I sprayed them with clear acrylic spray the week before so nothing would hatch out of them on our table! haha). The dishes are disposable plastic dishes from Sam’s Club! And we used plastic silverware because I didn’t want anyone stuck in the kitchen doing dishes while everyone else was having fun. If I wanted the food directly on the table or didn’t have a buffet to put it on, I would’ve just taken the trees off the table and left the pillar candles. There was plenty of room for it. 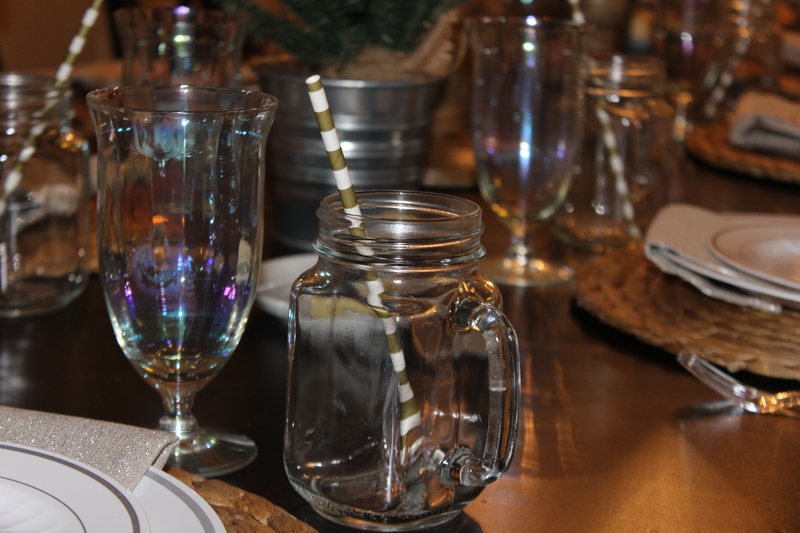 I used the mugs for water, the fancy glasses for sparkling cider (they are a family heirloom from my husband’s grandpa). The grass chargers are from Ikea for $3/ea and the cloth napkins are from Target. Easy-peasy! 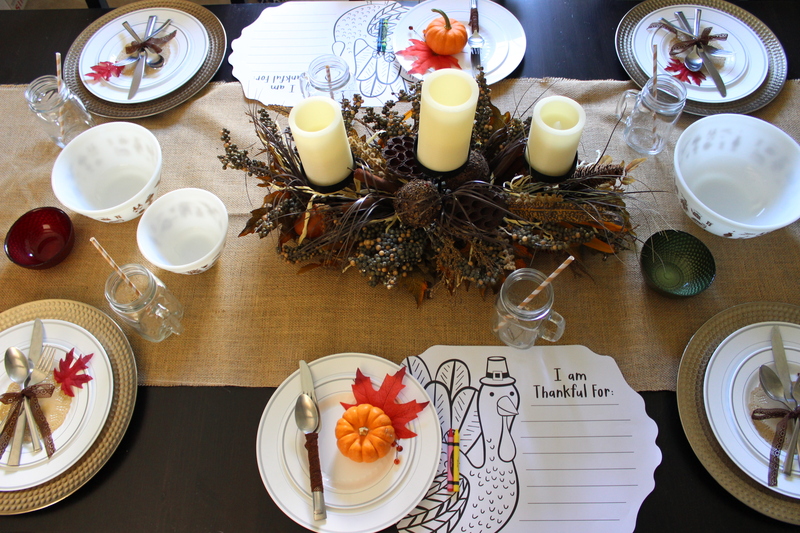 Make this look even more kid friendly by buying (these are from Target) or making your own “I’m Thankful for…” placemats and throwing a few crayons on the table. And it wouldn’t just have to be for kids — adults will love this too! 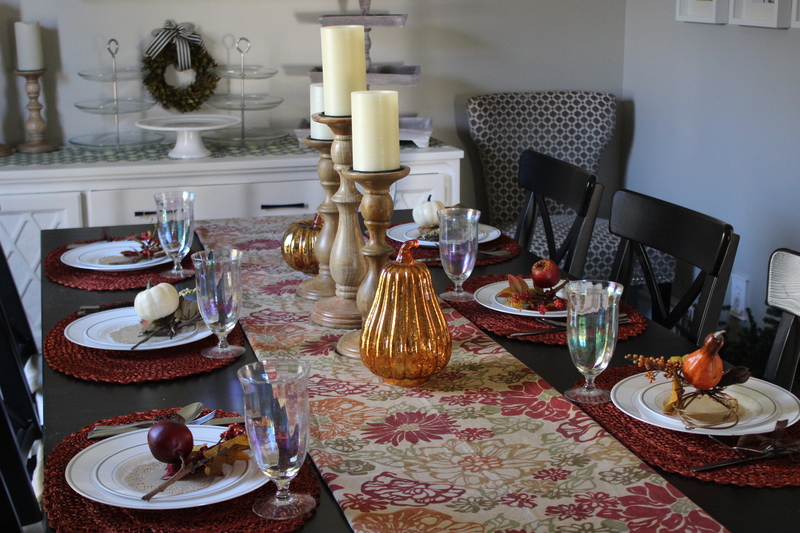 The thankful game is right in line with our family’s “Thankful For” tradition. All the same disposable dishes. Hand-me-down place mats from my husband’s grandpa (the holidays are a great time to break out old family items that people will know and recognize even if they may not be your personal favorite! 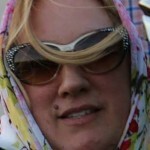 They are conversation starters for a walk down memory lane to holiday meals in the past). 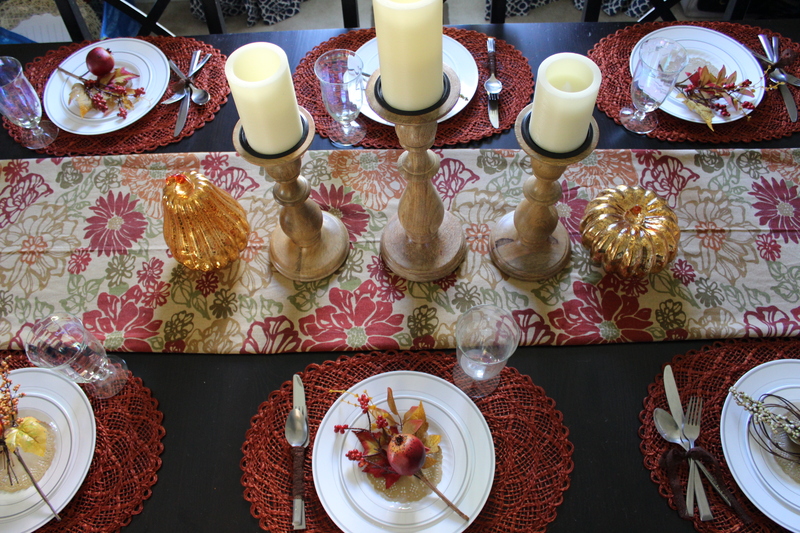 The table runner is a full piece of 54” wide fabric simply folded in thirds. No sewing required! Simple candle pillars (again, clearance items from Target for $3 to $10 each), a couple colored mercury glass decor pieces and you have your center piece. 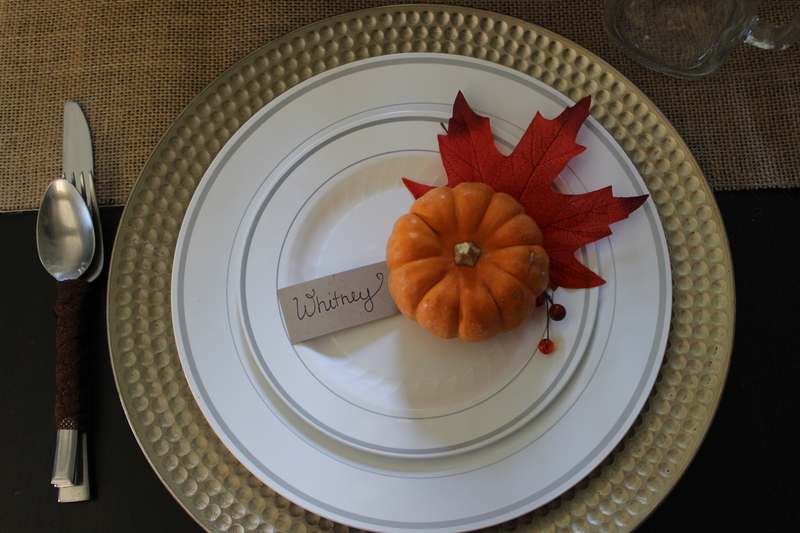 The faux berry/pumpkin/apple things on the plates add interest and color, and they could easily hold place cards. You could use real items too like sprigs of rosemary tied with a cinnamon stick, or a red pear with the name tag tied to the stem, etc. 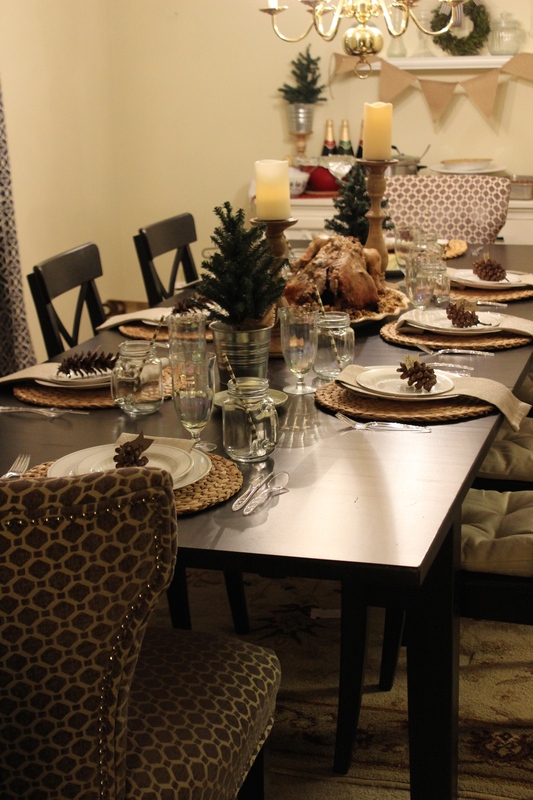 Take that 54” wide fabric and open it up for a table cloth! Ta-da. Again, no sewing because you have the selvage edge on both sides! 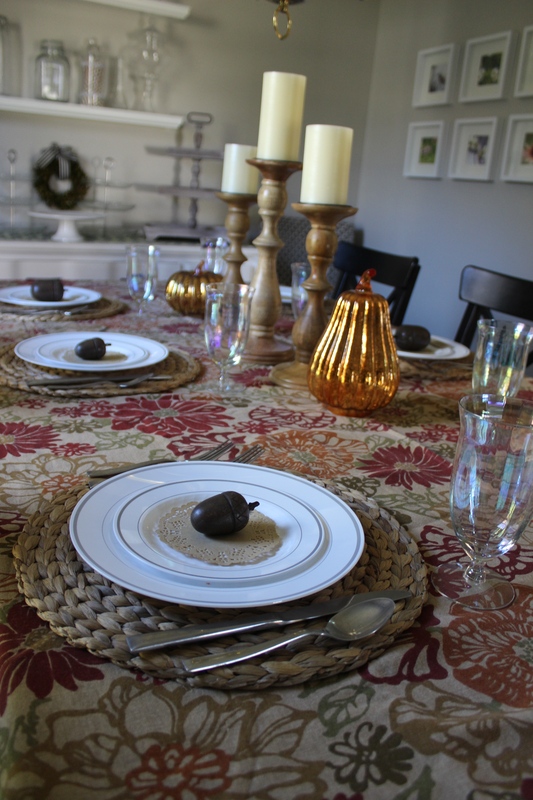 Grass chargers from Ikea, little faux acorns and a paper doily. Easy, simple and beautiful. We hope some of those ideas got your creative juices flowing. 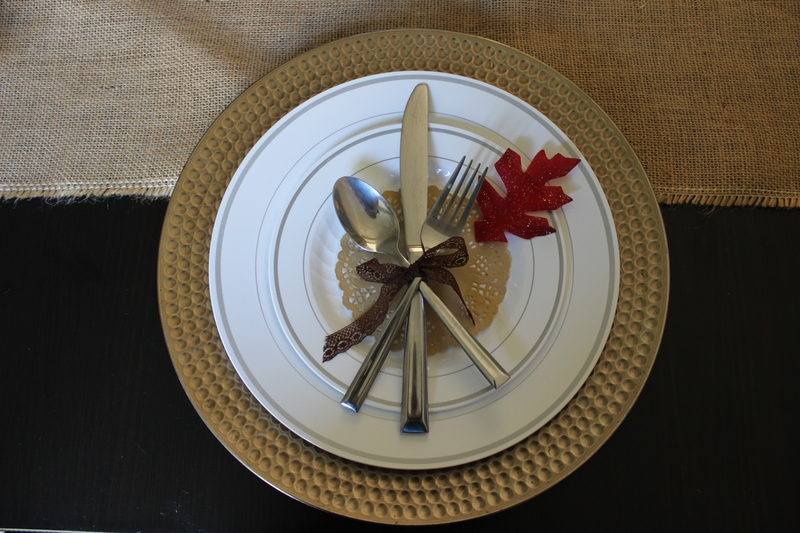 Just look around your house and you are sure to find some fun things for your Thanksgiving table decor! Thank you Alex! 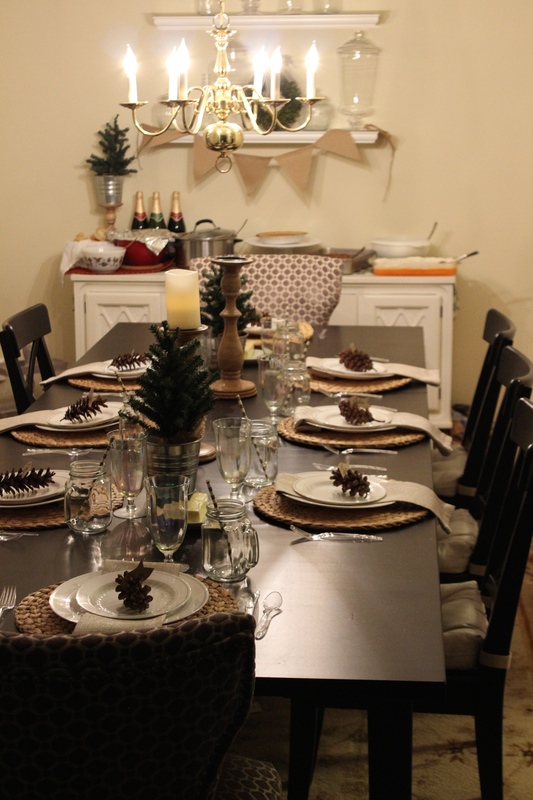 More holiday table ideas to come!